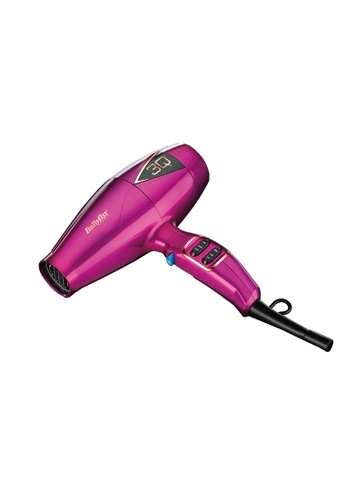 Introducing a new era in technology, the BaByliss 3Q Hair Dryer delivers the ultimate in professional hair styling. The superb advanced brushless motor technology gives you a controlled, fast airflow with notable Ionics for supreme drying performance and hair smoothing during drying. A lighter weight body gives you greater handling ease and comfort during styling, and the 3 heat /2 speed settings, together with the ultra slim concentrator, nozzle give you outstanding control during styling and blow drying your hair. Powerful 2200W, Advanced brushless motor technology giving a fast controlled airflow, 40% higher air pressure* for quick, thorough drying of thicker hair and 20% faster air speed. Can't find 3Q Dryer in your size?